As Slate says, Christine Blasey Ford fan art is the only good thing on the internet today. Whether you’re unpacking the Supreme Court nomination, scratching your head about allegations against certain members of the Texas Senate - it’s been a weird day and week. If you’re struggling because someone did something to you once that’s flooding back during the news cycle, I hope you will be able to find reassurance in our system soon and most of all peace. Let’s everyone be kind to one another this weekend okay? Senator Flake’s name no longer appears on the list of speakers for the Texas Tribune Festival this weekend. There are votes occurring and discussions to be had I suppose. Will you be attending the festival? There are so many great events lined up but I’ll likely be watching most via the live streams. 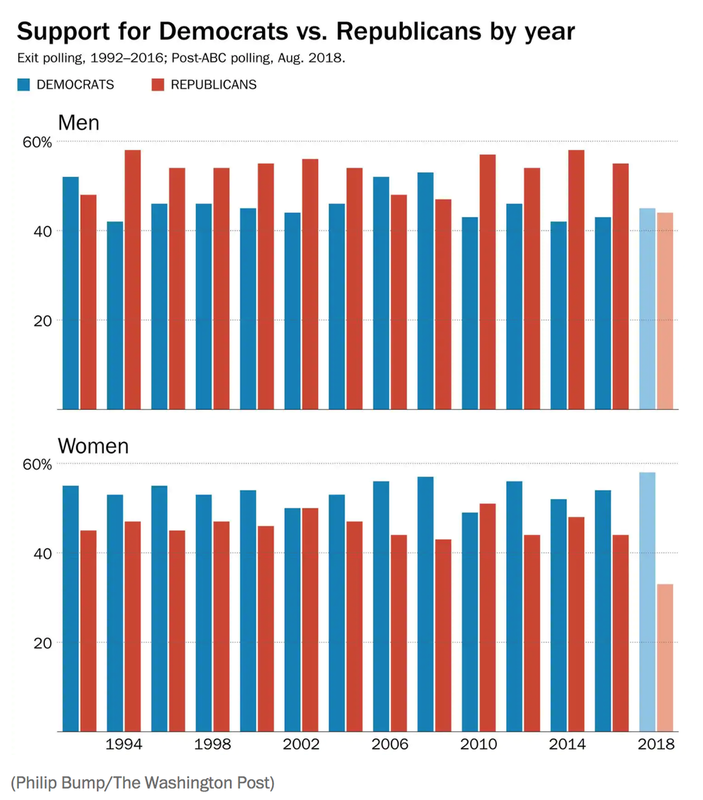 The Washington Post analyzes some new polling on the gaps growing between men and women and their support for each party. RBG on #MeToo via USA Today. Here’s a story from Fortune and the Washington Post as well. Speaking of RBG, there’s a push to name a building after her in Brooklyn. An interesting piece on how women are divided by Kavanaugh nomination via Politico. This piece from the Harvard Business Review on Why Men Still Get More Promotions than Women is incredibly dated but a take on mentorship worth revisiting. Here’s CNN Money on why women need mid-career mentors and Forbes on the same topic. Bustle has narrowed down the best padded socks to wear with high heels. I feel like it’s finally getting cool enough in Austin for me to pull mine out for the season.